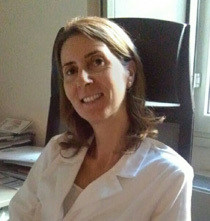 Dr. Francesca Di Carlo has achieved in 2002 a degree in Medicine and Surgery at the University "La Sapienza" of Rome, in 2007, the Specialization in Angiology at the University of Florence and has finally obtained a Master second level in Aesthetic Medicine at the University of Rome "Tor Vergata". Since 2008, he worked as a freelance activities as a specialist in Diagnostic Vascular non invasive and Angiology at the Israelite Hospital and ACISMOM (Italian Association of the Sovereign Military Order of Malta). From 2008 to 2010 he worked as a specialist in Diagnostic Vascular non invasive and Angiology at the San Raffaele Tuscolana Clinic and Polyclinic San Raffaele Termini. From 2007 to 2010 he held positions as the substitutions Specialist Angiologist at the ASL RMA, RmB, RMD, RME, RMF. The Doctor working as a freelance part dell'Angiologia and vascular non-invasive diagnostics at leading private centers, he has acquired expertise in the diagnosis and therapy of the major arterial and venous vascular diseases. He has participated in several courses and conferences and was also the author of several publications. Facoltà di MEDICINA e CHIRURGIA - Università degli Studi di ROMA "La Sapienza"